that inform and improve campaigns. your subscribers, so you can send better emails and improve ROI. Are people reading your email? 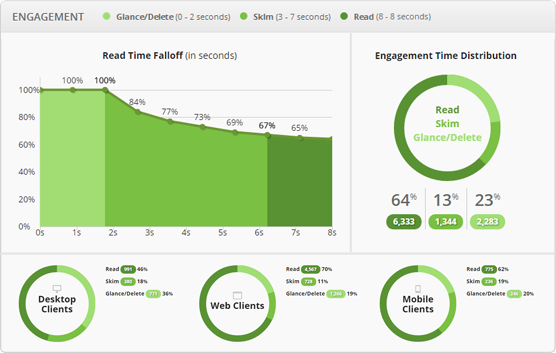 Go beyond the open rate and see how long subscribers are spending on your email with our read/skim/delete metrics, and use that data to improve your future campaigns. 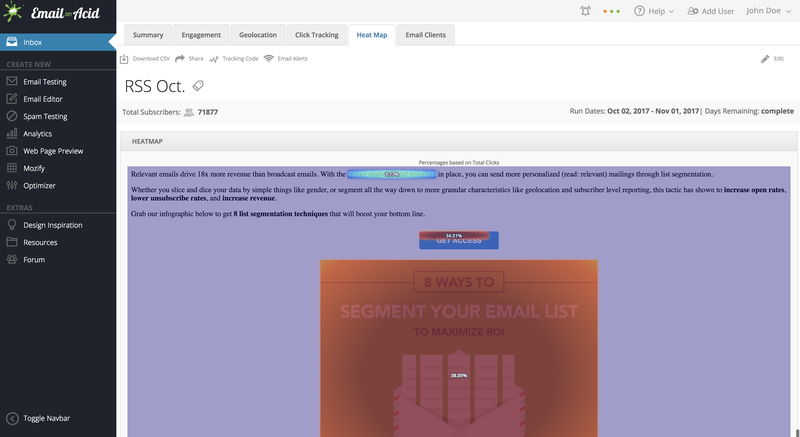 Use our heat maps and click tracking to see your subscribers’ activity and interests, so you can adjust where you place important content and your call to action. Know who your readers are. Drill down in to the details about who your subscribers are, where they live, and which devices and clients they prefer. Use this information to create emails that resonate with your audience and improve ROI. Do you have a global audience? Should you consider time zones when sending email? Take segmentation to the next level with our detailed geographic data. We’ll track all the interactions your audience has with your email, including how many people forwarded the email and how many printed it. 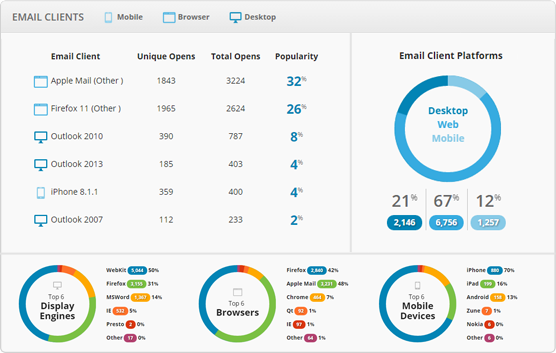 Track exactly when your subscribers open and click on your email. Use this information to optimize send times based on when your subscribers are most active. Download a CSV file for your records or share charts and graphs with your team. We’ll store your reports so you can compare results over time.